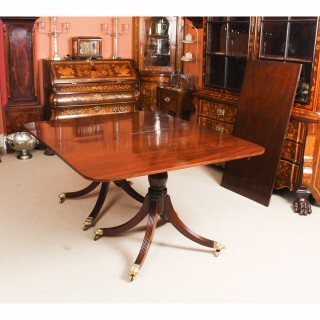 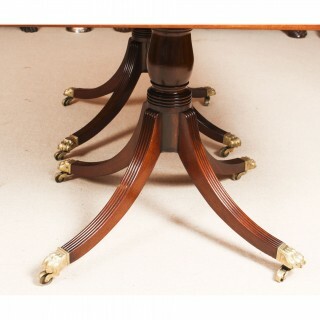 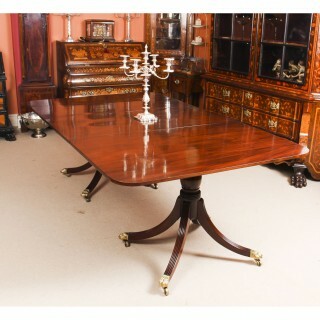 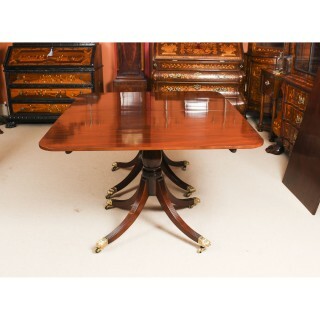 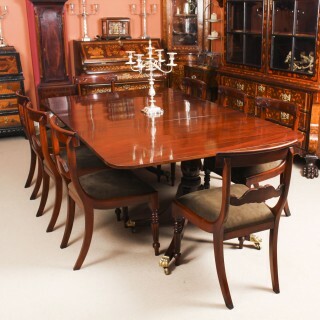 This is an elegant dining set comprising an antique Regency dining table, dating from Circa 1820 and a set of bespoke dining chairs in the Regency manner. 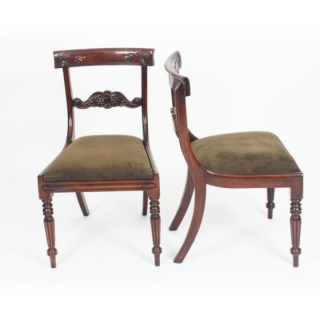 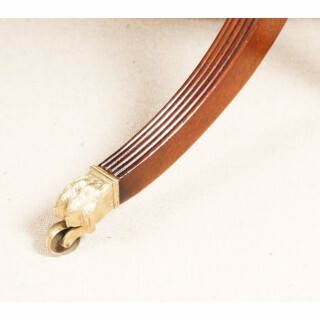 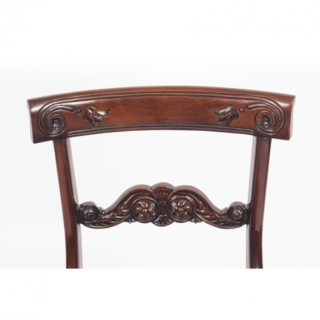 The matching set of eight bespoke Regency Revival dining chairs have been masterfully hand crafted in a beautiful solid flame mahogany with a very high standard of workmanship and an enviable finish which is sure to impress. 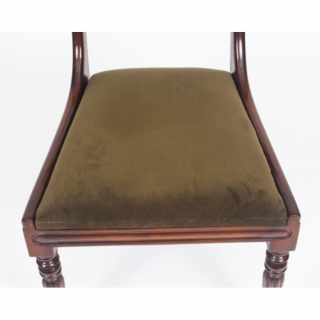 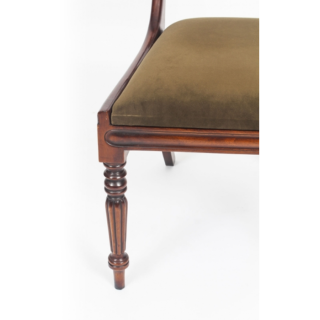 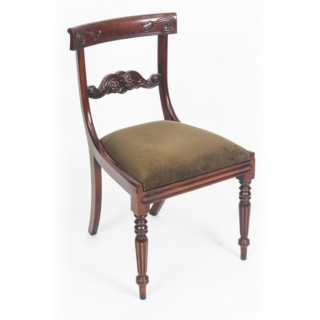 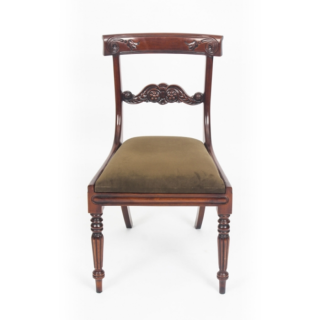 They feature an attractive bar back design which has very skillfully hand carved decoration and they also feature the popular ‘drop in’ style seats which are upholstered in the finest hard wearing olive green alkantara fabric. 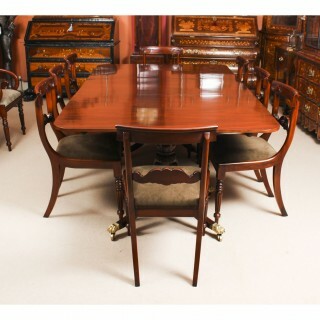 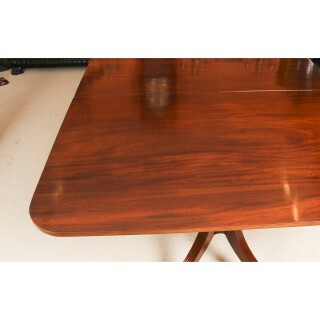 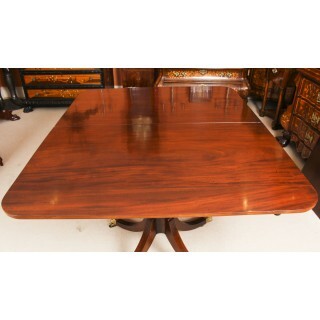 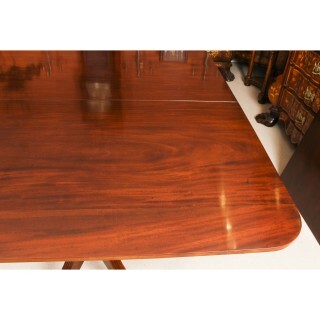 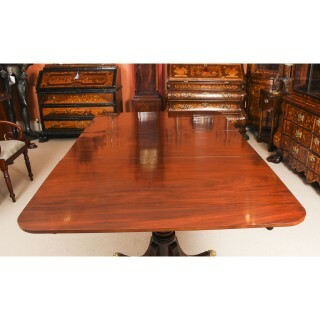 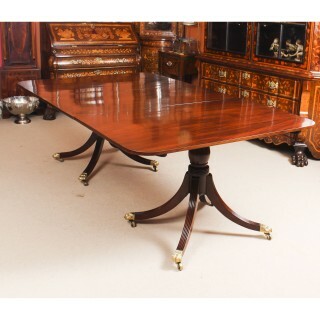 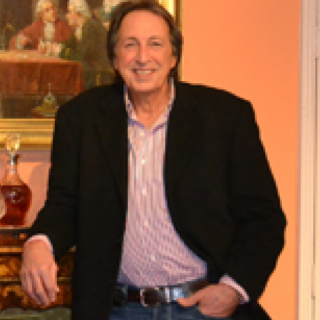 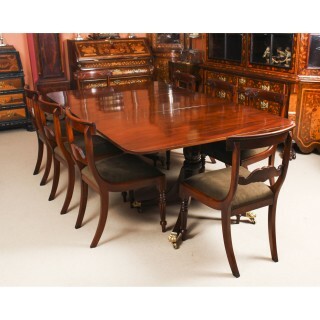 There is no mistaking the fine craftsmanship of this handsome dining set which is certain to become a treasured addition to your furniture collection, and a talking point with guests at meal times. 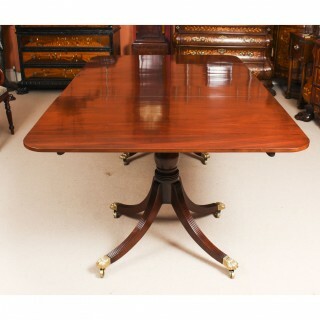 In excellent condition the table having been beautifully cleaned and polished and the chairs reupholstered in our workshops, please see photos for confirmation.